Paraguay is a beautiful country, but probably not the best place to be looking for a second passport. A surprising land-locked country that few people have heard of, people look at Paraguay as an easy place to get fast residency and citizenship. With a Paraguayan passport you can access the EU, Russia, the UK and Ireland. So it’s a pretty decent passport. It’s also a part of the Mercosur trading bloc in South America, so you can also go anywhere in South America without a visa; just an ID card. The commonly held belief is that Paraguay is also one of the fastest ways to get citizenship. On paper, and in some instances, that may be true. Technically, you could become a naturalized citizen of Paraguay in just three years. In my experience, people who are attracted to the fastest way to citizenship are often looking for the easiest way to achieve it as well. And one of the things that I’ve learned via my own success…and failures…is that people look for fast and easy. And, as if that wasn’t too much to ask for, they also want it to be cheap. As I keep telling people, when it comes to passports, you can’t have it fast, easy and cheap. One of the things that people like about Paraguay is that you don’t have to live there, you only have to live in the country for just one day a year. However, you’ve got to understand that in Latin American countries what is written in the letter of the law may not always follow in due process. What is said to be possible is not necessarily possible. Panama is another example of how this kind of conflict can have an impact on naturalization. I have friends who have been living (actually living) in the country for over fifteen years that still do not have their citizenship. Once again, what is said to be possible and what is actually possible are not always consistent across Latin American countries. The fact that the law states you can apply for citizenship after three years in Paraguay (five in Panama) doesn’t guarantee you anything. It means you can apply and that they must consider your application, but beyond that nothing is certain. So, let’s clear this up. The idea that you can head down to Paraguay and just live there for a couple of days each year and then get your permanent residency after three is misleading. It has happened in the past and I know of at least two people personally that have achieved this with no problems. However, I know of a lot more people who have been lured in with the three-prong promise of ‘fast, easy, cheap’ who are stuck in some bureaucratic limbo still waiting for that residency or not making the most of the residency that they do have. My first piece of advice to people who are being tempted with the same lure is to look at changing your mindset. It’s simple when you think about it. Things that are worth getting are worth putting effort into; zero effort equals zero value. These people that I’m talking about have just gone down to Paraguay and bumbled around getting some half-cocked lawyer to deal with it on their behalf. The process doesn’t take much time — almost zero effort — and is, of course, cheap. When it hasn’t ended up the way they anticipated and they don’t get the residency, then their mindset has already determined how they perceive this failure; “Oh, well. I didn’t really want/need that second passport’… and so on. The truth is that too many people believe Paraguay is such an easy way to get a second passport that it’s like a scam to them — a way to get one over on the ‘system’ — which is what make it worth a gamble to them just ‘to see’ if they can get one. If you don’t really need or want a second passport, then I’ve got some more advice for you; don’t waste your time. What would be the point of getting something that you don’t know how, or intend, to use? I see this a lot with people looking for a second passport in Paraguay. So much so that ‘Paraguay Residency’ has become a code word for stuff that nobody needs or knows what to do with. So, I’ll say it again, if you don’t need or want a second passport, then don’t waste your time. By the same token, if you do want a second passport and place value on this then change your mindset; if something is worth doing, it’s worth doing right. Which brings us on to the next challenge. Because Paraguay is a Latin America country with all of the bureaucracy and laissez fair attitude that this encompasses, the lawyers down there aren’t great. This is true across a lot of countries in South and Central America, from the Dominican Republic to Panama, not just Paraguay. It can be hard to find a good lawyer at the best of times but even harder in Latin America. I’ve met with several lawyers who are reported to be the top lawyers in Paraguay and, I hate to say it, I wasn’t impressed. They were slow, barely responding to emails (if at all) and taking weeks to process even simple requests. And this isn’t just the lawyers, but also the whole chain of civil servants that your application involves. If you know anything about Latin America, then you’ll know that’s just how they operate. There are people I know, one of whom I spoke to recently, who have been waiting over two years for a response on their application. When you consider that he also has no guarantee of success, it doesn’t seem such a fast, cheap and easy option after all. Not only that, but do you really want to be hopping backwards and forwards, paying for expensive flights to Paraguay to get things sorted out? The bottom line is that while that initial lure of ‘three years to citizenship’ might seem attractive, the actuality can be a long way off the reality. Sadly, this is the truth for the citizenship application process in a lot of Latin American countries; from Mexico down to Argentina it can be tougher than you are lead to believe. Unlike places like Georgia that give you a fixed timeline for the citizenship application process, as well as the option to FastTrack it, the fact is that its taking longer and longer for Paraguay to issue permits with no guarantees at the end of it. This is true for Westerners, but is particularly true for Indians, Pakistanis and Asians. Well, I get literally thousands of emails from people in India and Pakistan looking for that elusive tri-combination of fast, easy and cheap; I’m not trying to stereotype but those are the facts. They hear it’s cheap, they hear it’s easy and they hear it’s fast. It doesn’t help that there was a scam running in Pakistan recently promising applicants free citizenship and free land. Of course, this was a fake but people believed it which increased the amount of interest. Which leads me onto yet another challenge; scams. There were some guys in the business who went out selling fake passports and backdating visas to try and circumvent the citizenship process. Of course, it wasn’t too long before the FBI got involved and the scam was shut down. As a result, when scams expose loopholes in security, you expect there to follow a tightening up of controls. And that’s exactly what’s happened in Paraguay. In neighboring Uruguay, the citizenship application process has also become harder. This whole myth that you can achieve residency whilst just spending one day a year in Paraguay also used to apply to Uruguay. Yet, I’ve worked with some people who have lived in Uruguay, actually lived there, for three years and have still been denied residency because they haven’t integrated with the culture. So, while that kind of decision doesn’t exactly follow the letter of their law, it is in keeping with how countries react when immigration scandals like the one above make global headlines; they tighten up the policies. With all these challenges, why would you want a second passport from Paraguay? Well, let’s step back a second and see what your end goal is. Why do you want a second passport in the first place? Are you considering Paraguay because you want visa-free travel to Russia? Wouldn’t you just prefer to pop your passport in the post and pay a couple of hundred bucks and get that visa? Do you want visa-free access to the UK, Ireland and the EU? That’s definitely valuable, but why pursue Paraguay for that second passport? We come back to the mantra, ‘fast, easy and cheap’. People get so hung up on these three words yet fail to look at the bigger picture. It’s like citizenship by descent. I’ve got an Italian friend who, in the time it’s taken him to get his Italian passport (three years), I’ve gotten multiple passports. 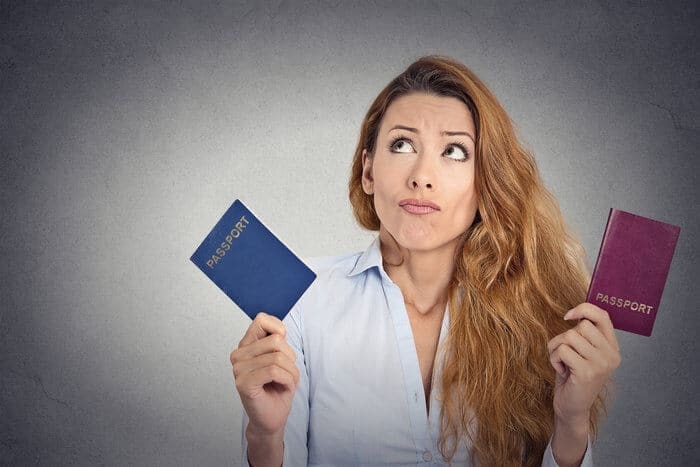 If the specific country is important to you for residency purposes, then fine; but if your end goal is a second passport then you’ve got to consider the best options. As I’ve already said, the bigger picture in Paraguay is one of extended wait times as a result of poor legal representation and bureaucracy coupled with the current climate of heightened security and tighter policies. The result is that the process for citizenship in Paraguay can take several years longer than that attention-grabbing headline of three years. It’s like seeing an advertisement for a cheap car without reading the small print. You drive it away and before you know it, you realize you’ve committed to a costly deal. Someone I know has people he deals with that are still waiting for their Paraguayan citizenship after ten years. Every country has a trade-off between the benefits of citizenship and the process by which it takes to achieve it. Paraguay has good things going for it (low taxes, a good passport and its laissez faire attitude) but it’s not the only (or cheapest, or fastest, of easiest) way to getting a second citizenship. And having a second passport as an insurance policy is no bad thing, but why not evaluate the other options? If you’re a Westerner looking for more globalised travel, then the only place that Paraguay affords you freer access is to Russia. But if you’re using the citizenship to benefit from lower taxes and to save money, then there are better places to spend your time (and it is your time) jumping hoops to get your second passport. Why would you want to be wasting that time jetting off to Paraguay, in the middle of nowhere, at a moment’s notice to clear yet more red tape when you don’t want to live there…. particularly when you aren’t even guaranteed a positive outcome at the end of it? There are other countries that have lower or no tax, closer to where you want to be and, if you are looking to renounce your citizenship, may be even better suited to what you actually want and need…even if that ‘headline’ cost is more expensive. It’s taking a lot longer than ever before to get your application looked at. More applications are getting denied. No reasons (or limited information) are being given for rejected applications. Immigration lawyers aren’t providing much help. The mythical ‘fast, easy and cheap’ just isn’t true. If there’s one takeaway from this, it’s being clear about what your end goal is; define that and work backwards to achieve the best results. If your goal is to renounce US citizenship to save $500k a year on taxes, then it’s likely that your time is far more valuable than any paltry savings that may or may not be made in seeking Paraguayan citizenship. 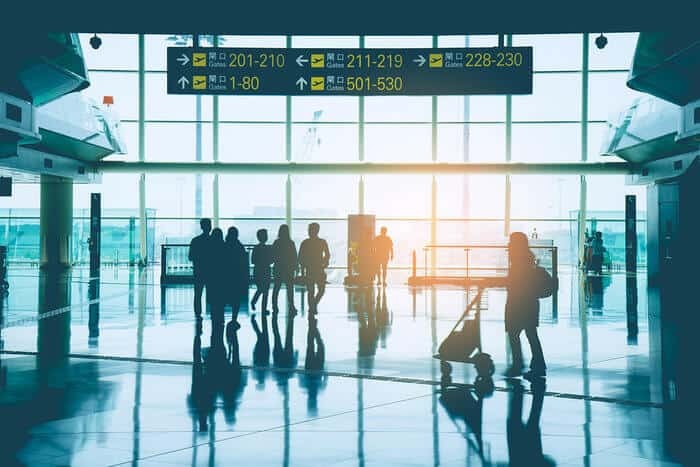 In fact, by the time you’ve made your sixth visit to the country, making at least two stops along the way and waiting in airports the size of your laundry room just to fill out another form before returning home, you’ll probably have wasted more money than you’ve saved. The only people who are promoting Paraguay as a viable and preferred option for a second passport right now are those people that don’t think for themselves. They see dated content online and they remodel it with their own spin. They don’t know what they’re talking about because they don’t travel to 30 countries a year like I do, working with people to deliver innovative programs, they just copy stuff that they find on other people’s forums. I am not an order taker. I don’t like taking orders. I like figuring out new stuff, doing it for myself and sharing my success with others. I already have money. I don’t need to make more money selling the same old cookie cutter programs which, five years from now, people are going to call me up about, angry. But it’s happening all over with people still recommending places like Paraguay, the Dominican Republic, Uruguay and all across Latin America. There are better options now that are a lot easier with far more guarantees and, compared to how much time you can waste with Paraguay, cheaper in the long run in terms of your valuable time. The bottom line? Paraguay is just not worth it. Don’t get me wrong, Paraguay is an amazing country and still offers plenty of opportunities. If you are someone who is looking for a frontier market (and maybe speak Spanish), you might find it the perfect bolt-hole. In which case, go for residency. If you’re looking for Paraguay as a second passport you’re probably using the wrong name for it; instead you should be asking for a solution that you need to achieve your end goal and go from there. Hi there. I’ve recently discovered the ‘simplicity’ and accessibility to gain residency and passport for Paraguay. I am British and i don’t need a second passport but my boyfriend does. He is Cuban and we have struggled for years to get visitor visas to UK and other EU countries. Now i would love for him to get a Paraguary passport or even just residency so that he can visit and enter other countries with me. It seems simple. I know it is very hard for Cubans to travel so i would really appreciate your help, advice and support. Also, how would he even begin this process if he needs a visa to even get into Paraguay? You see my dilemma all the time! I look forward to your answer. Why do you not marry your Cuban BF? And submit a spouse case to UKBA. Could you perhaps elaborate on the “better options, more guarantees”, some examples of other countries with better investment opportunities as well as guaranteed residency / citizenship. Can u please let us know about other countries for second passport or PR. hope you will be fine and wth good health. i want to get Paraguay nationality/passport. can you help me in the matter or better advise? How do you transfer required fund as far as Paraguay residency concern ? Legally , you just can’t as far as foreign currency regulations concern. You can legally transfer funds to Paraguay. Paraguay is not a fiscal paradise and all its banks and financial institutions operate in the international market. There are certain currencies that are not in high-demmand in the Latin market, therefore, you are not bound to find anyone operating with them; as I guess I wouldn´t find anyone operating with Guaranies (Pyan currency) beyond South America. Hi I am a businessmen in Bangladesh. Want a permanent residency followed by citizenship in Paraguay. Please let me know how can you help me and what is the real picture of investing in Paraguay. Thanks. Paraguay’s residency is awesome for digital nomads working as contractors in terms of taxes. The income tax is of 10% but if your income comes from a country other than Paraguay, there is no tax. So it’s like a tax-heaven without really being it. Hello sir. I am yousuf khan mechanical engineer working in saudi Arabia pakistan national.i want to get paraguay citizenship.i need all details. There is way too much BS being spread about Paraguay. First of all, Paraguay does not require a Lawyer or “fixer” to obtain residency. If you speak Spanish, or use a translator, you can do everything yourself. The immigration office in Asuncion will often have friendly, helpful workers that will answer your questions if they’re not too busy. Secondly, Paraguay is not that much different than other countries when it comes to approving citizenship. If you learn Spanish, become a productive member of society and perhaps even start a family, that would give you a fighting chance to obtain your second passport. If you arrive as an entitled foreigner with very few ties to the country, don’t be surprised if you never hear back from them. Greetings……I have this question please…i have read that if you put 5000 five thousands dollars in a bank in Paraguay then that will quilefying you to get a citizenship! so please i need to know is that real? or not? Dear Muthanna, the $5000 deposit is part of the requirements to obtain your residency. It is proof of solvency and it will be reimburse to at the end of the process, once you have receive your residence card. Now, there are several documents that you have to bring from your country and present at the local offices here. 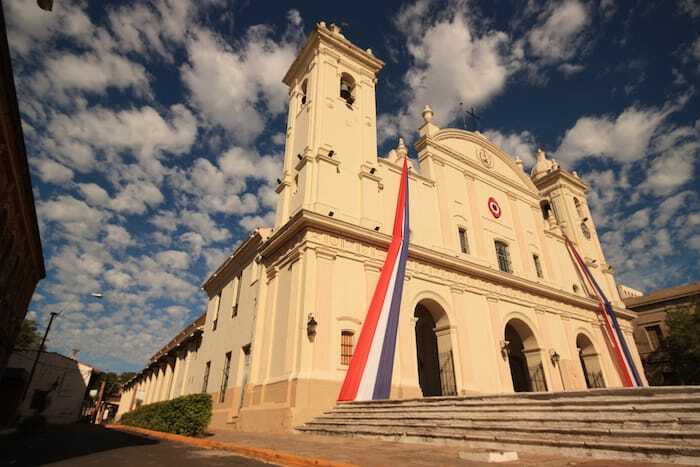 As in any other country in the world, Paraguay has its own process. Now, it is absolutely worth it. The process is rather smooth (yes, there is burocracy just like in any other country) and the waiting time is between 4-6 months. I am Zaffar Iqbal & i want to know information for his immigration Paraguay and can he come from Pakistan with family how do should he apply for visa from Pakistan and will you help him find permanent residency, i want to know all govt court, health card,PR card,SIN card applicable fees and your fees. also where will he apply for the visa. I’m Egyptian, and I would like to work with you to get the Citizenship of Paraguay. I followed the sign-up steps, but unfortunately my “Primary Nationality” didn’t pass through. So, is there any other way to work with you? What do you mean by ‘didn’t pass through’ ?. It means you they didn’t give you a visa or they refused to give you a permanent residence ?. Could you please elaborate on the” better options, more guarantees”, some examples of other countries with better investment opportunities as well as guaranteed residency/citizenship. I have a criminal record. Can I emigrate to Paraguay? Lots of Nazis went there. I would like to know what do I need to apply for citizenship and the cost in Paraquay. I am still married by separated. Hi sir how are you?well i want to ask you that my boyfriend right now in germany as a asylum seeker if he want to come paraguay for pemit residense because he need documents he has been in germany since five years but no documents so is it possible that he can come from germany to paraguay kindly tell me as soos as posible thankyou. Andrew, why aren’t you responding to the posts asking for you to clarify on the countries that are easier to get a 2nd passport than Paraguay? If you’re going to make that claim, you need to back it up with facts. Otherwise you lose all credibility. Steve, I am busy helping people who pay for my services and prioritize them over people who consume information for free. Information in our articles is provided as a guide, but without support. If you feel that affects my credibility, you’re entitled to that opinion. 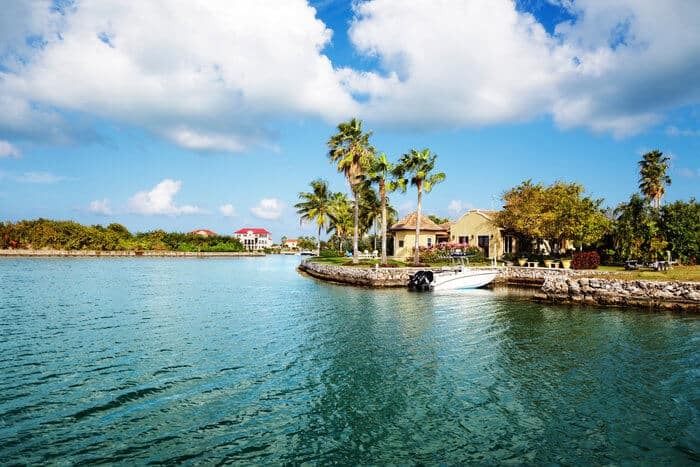 Countries that are easier to obtain a second passport will require very large up-front payments, but you won’t have to live there for years or play with the immigration system. Dominica (not Dominican Republic), Saint Kitts and Nevis, or Tuvalu are just a few examples. Go to Paraguay if you want to live there. As an Arabic from the Palestinian territories, who are not supported buy your services, what’s the best way to apply for a second passport? Cost doesn’t matter. hello Andrew, I often read your blogs and always gets useful information. but the fact is everyone wants easy and cheapest residency, which one is the best for me to live with my family ,I can invest 120,000usd .I’m from Pakistan. I am interested in 2nd Passport. I am interested in getting a second passport to be able to travel to the UK and the EU countries for meetings as a priority, with a possibility in setting up own business. Would be interested in your advisory service. What is apparent from your article is that Paraguay have bleak prospects for permanent residency. You could insert some good things about the country as I’m sure there must be a lot. iam married age is 44 and have one daughter of 11 years wife is 39 years , have bankrupt record in india and iam indian citizen . like to go on permanent resident to Paraguay . can i get PR status in paraguay .please advice me sir .